Comparing different hotels in Italy, Sicily offers unique opportunities. The famous resort hotels of Turkey, Egypt, UAE are involved in creating modern high-tech hotels using new scientific achievements. Everything has sense: hotel design, color, furnishing and comfortable technic. Of course, the most of hotels in Sicily follow the same way. Nevertheless, there are many places, where the historical value is more important than modern technologies. It is all about Sicily. This is a place where people are proud of their history – this is a unique opportunity for tourists to spend night in the ancient castle or monastery. Of course, this fact does not mean that you cannot get comfort in Sicily. The hotels are ready to serve people in the best way. So, what are the most interesting of them? Palermo is glorious Italian city. There is a legendary hotel – Palazzo Federico. 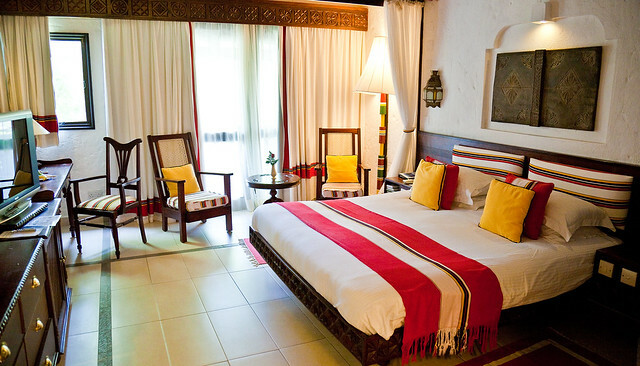 The hotel rooms are situated in the rooms of the palace that was built in the 12th century. 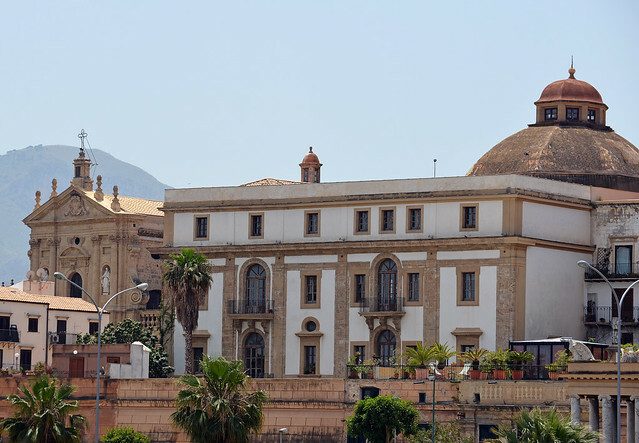 By the way, you cannot find the building that is older than the palace in Palermo. The hotel owner is a person of title. He is a glorious man. Nevertheless, he decided to find additional resources in form of hotel to take care of his heritage. 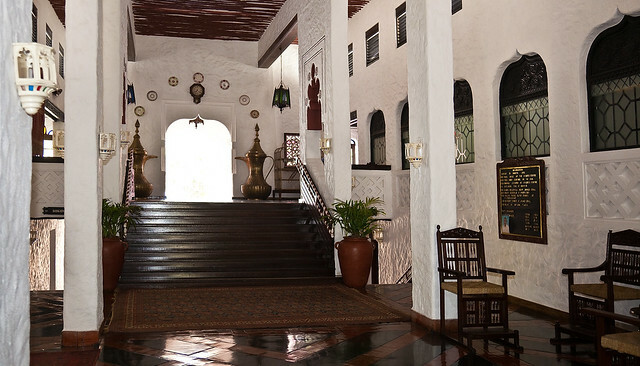 The hotel is still architecturally attractive and priceless. The building is very old, but modern and comfortable. How much is it? You have to pay about 300 EUR for room. If you are waiting for bright impressions, you should pay attention Atahotel Capotaormina. The hotel is situated on a top of a rocky hill in the popular resort city of Taormina. The natural backspace for this hotel is snowy Etna – the proud of Sicily. There is a beautiful view from the hotel window. Look! You can see the Pearl of Mediterranean Sea – Isola Bella. If you are romantic person, you can stay in the suit for two to have romantic dinner every evening. You are offered to have dinner in the hotel terrace, or restaurant. What about breakfast with Champaign? Nevertheless, the most admirable impressions you can get spending time at the hotel swimming pool or on the beach. There is a lift that takes you to the beach just through the rock. Just hire a car in Catania and go to Gaggi. This is your chance to feel yourself a happy owner of two-stored villa that is situated in the middle of big bloomy park. Your choice is Alcantara Resort. The hotel is located not far from the famous mountain pass Alcantara. The villas are built far from each other. The territory is really big – 15 000 square meters. The interior is traditionally Sicilian, combined with the modern technic. You can spend your time at the swimming pool or hotel beach. There is a chance to see beautiful fountains and have exotic dinner in the restaurant. Natives are famous of their commitment to values. Thus, old railway stations are rebuilt to be the good original hotel. What a bold decision! The reliable classic view of the hotel suits speaks about the strength and order. Probably, the best and the most original hotels are situated in Palermo and other small owns not far from Catania. The ancient facades hide bourgeois elegance, attractive for many tourists. Welcome to Antica Stazione – the hotel that is situated in the mountains of Ragusa. What makes it special? The airy hotel differs from the rest of other buildings of the same hotel chain with its specific location. As it was said before, the hotel building is placed not only in the mountains, but in the pine forest. On short, the fresh air and fresh emotions are guaranteed. There is an opportunity to go cycling just from the hotel. The famous architect Charles Robert Ashbee got the order to build a beautiful villa in Taormina in 1907. The villa was constructed on ruins of the famous Temple of Jupiter. This fact makes it really special! The building was used as a hotel later – The Ashbee Hotel. Do you think that ancient building was dark, massive and terribly Victorian? You are wrong. The architect gave the new principles to old architecture. The building looks respectable and classic. It is especially attractive in spring, when the numerous lemon, grape fruit and orange trees are in blossom. The hotel boasts with high ceiling, classic massive lamps, frescos, stony walls, sculptures and art masterpieces on the walls. It looks like museum, but not a hotel. The boutique-hotel Novecento is placed not far from Ragusa in the ancient building of the 19th century. The building was carefully restored to welcome visitors. The elegant interiors include modern and old design elements. It is said that Novecento is considered to be the Arts Museum. Nevertheless, the service is high. The hotel is very small: there are 7 rooms in it. The atmosphere is friendly and special here. What a great pleasure to live in the museum in the room of individual style. There are no two similar rooms in the hotel. The hotels in Sicily are special. They were the center of historical events of one or another period. This is the depositary of historical treasures. There are many cities that take care of their historical buildings. The historical hotels are the most expensive in the country, with stars or without them. The hotel age and historical meaning are important to make a price. Do you think it is too expensive to love there? There is another popular way of living in Sicily – villas. The choice is wide! The most of villas are placed just in the sea shore. You can choose a big elegant house for 4-6 persons with the chic swimming pool and huge garden and terrace or little cozy house to spend comfortable time there. 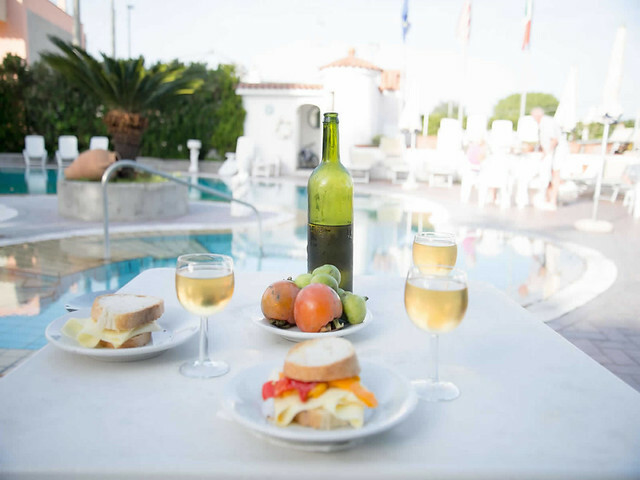 This entry was posted in Travel and tagged Catania, hotels, Italy, sicily. Bookmark the permalink.